Friends ask, beg and bribe, but you still look at the time and effort involved in even a sprint triathlon and say it's not for you. But why give up on the spirit and thrill of the sport when there's a way to compete and enjoy it: the relay triathlon. This category divides the event's three sections between three competitors, providing an introduction to the sport without the intensity of preparation for all three disciplines. Your interest in triathlon isn't a trial by fire in a relay; the goal is to incite passion for the sport and the desire to remain involved at whatever level works for you. Your swimming is average, but your cycling skills rock? You're the bike point person, pedaling your way to a team medal. Is a rough water ocean swim your siren song, but running ruins your day? You're up first, diving in and leading the pack toward the buoy markers. 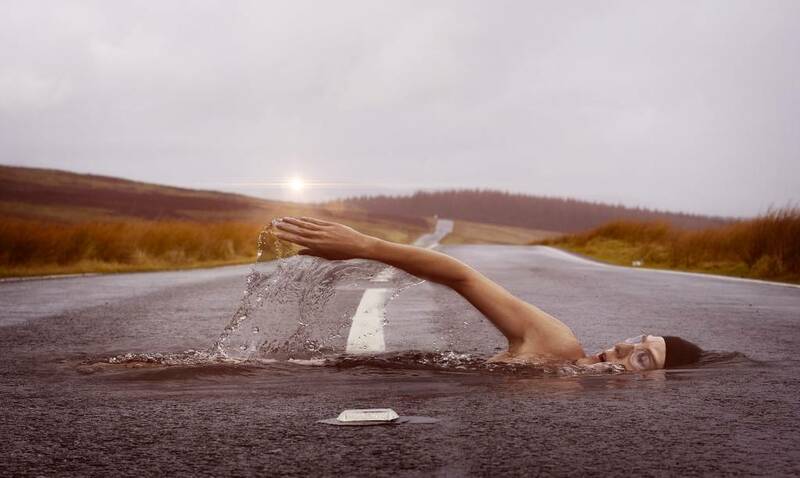 Is running the only thing that powers your morning besides a good caffeinated beverage, but swimming gives you a sinking feeling? You're the team anchor, working the asphalt or trail to a successful finish. The triathlon community loves and supports everyone, whether elite or beginner, relay or solo participant. While waiting for your start, check out the gear around you, listen to the lingo and learn everything from the location of the restrooms and bike repair tent to which bar hosts the post-event beer party. Transition is tight, and there are strictly-enforced rules for gear space usage; proper layout prevents equipment loss and accidental falls due to obstructions. Your assignment in the race determines exactly what you bring to the event. Leave extra gear and post-race clothing in your car. One representative to pick up race packets (check ahead and bring ID for everyone if required), pick up timing chips in the morning, keep the gear checklist, attend participant meetings and handle any last-minute details. Time lost in transitioning from swim to bike and bike to run is lost forever. Visit the race site if possible or use a similar site and practice barefoot runs on unfamiliar terrain from swim to transition, hand off a facsimile timing chip (use rope or heavy electrical tape with Velcro™ fasteners) and practice bike mounts and dismounts with attention to the rules regarding helmets. Decide well before the race whether running shoes with standard or elastic laces work best. Whether done with friends or fellow triathletes from your local club, a relay competition is an inexpensive, less intense yet inclusive introduction to the sport.